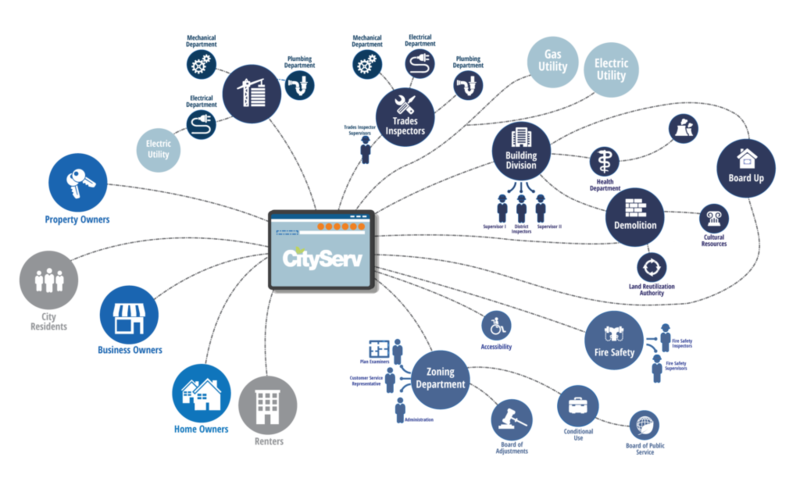 Because we know that this is not a one-size-fits-all world, you can choose from any one of CityServ’s existing modules and we can affordably customize it to your specifications. 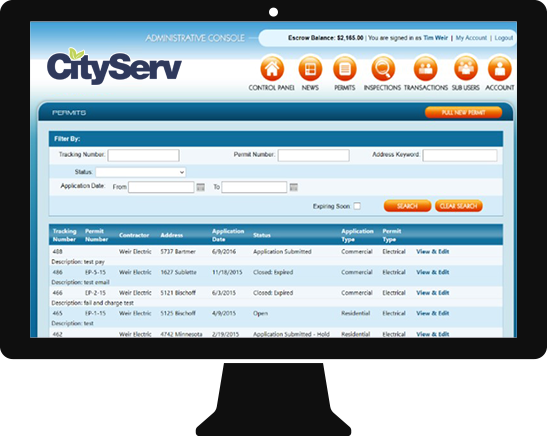 Our permitting module is a best-in-class solution that contractors and citizens rave about. Our system makes it so easy for work to be completed by both your staff and the applicants that your MEP sections can now fo-cus on the important issues facing them. Secure contractor accounts that allow your licensed contractors to apply and pay for permits and their field personnel to request and follow up with inspections. Flexible payment options built right in allow contractors to pay as they go, or they can set up an escrow account. Pay with credit card, e-check or escrow. Now you’re flexible! Another of our cutting-edge modules. 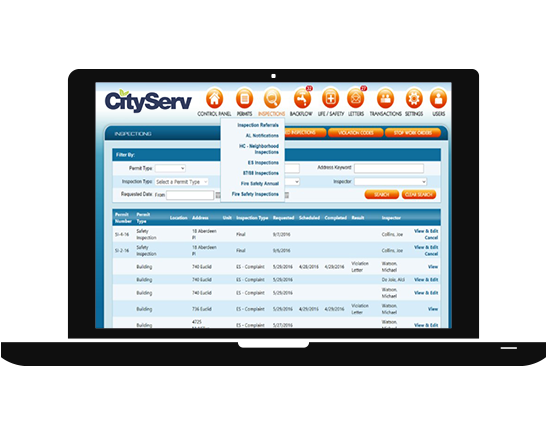 Our code enforcement backbone provides a flexible yet thorough environment for inspectors to manage their workload efficiently and professionally. So much so, that one city has cut down the number of days that their inspectors start their day at City Hall by 60%. That’s real savings and a real boost to morale at the same time. 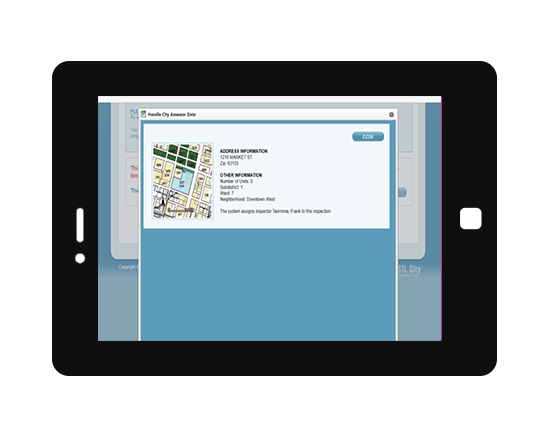 Our P&Z module integrates the Zoning Dept right into your Building and Occupancy permit process. No more passing paper back and forth between offices or missing connections on applications. Plan Review is notified as soon as an application has been received. Notifications are sent automatically when Zoning has completed their review so everyone is literally working off of the same page. Sometimes you need information from other parties and sometimes they need it from you. We can build those bridges for you; it’s one of our specialties. We’ve connected Cities to information silos both within and without City Hall. Electrical wiring approvals sent to the local utility to speed up service for the end-user and reduce your staff’s efforts? Done! Import information from utility providers to facilitate new inspections? Done! Who do you need to connect with? We can help you make it happen. Our customizable, enterprise permitting and land management solution lets you modernize your work process to get the most out of what you have.